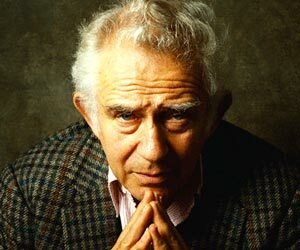 Today, I’m keeping this post short in honor of Norman Mailer because I think that there is a lot of truth to his words. Talking about writing in general is one thing, but talking about the writing itself another. I have found that when I talk too much about what is happening inside my stories, I am less able to write them. So maybe for today writers, try it out. Make “mum” the word, and maybe extend the silence to the end of the month.